San Diego's "hard water" takes a toll on plumbing. Eventually pipes, fittings, hoses, valves and pressure regulators need to be repaired or replaced. Often the "break" in the plumbing was caused by another underlying problem. George Davis Plumbing will provide a free plumbing assessment, recommend any changes and repairs, and provide a free plumbing estimate. Call George Davis Plumbing today to get your free plumbing assessment. The information is free, and comprehensive. 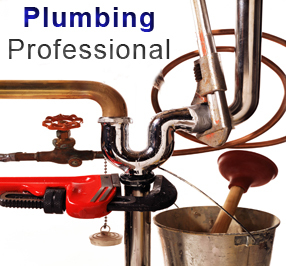 Get a free plumbing assessment today.You will know more about the condition of your plumbing, what parts will likely fail, and how your plumbing's efficiency might be improved. San Diego communities served by George Davis Plumbing include: Alpine, Chula Vista, Del Mar, El Cajon, Encinitas, Escondido, Imperial Beach, La Mesa, Lemon Grove, National City, Oceanside, Poway, San Diego, San Marcos, Santee, Solana Beach and Vista. Call George today at 858-366-8152 and ask for your FREE plumbing estimate.